I just came back from two days spent at an NEDCC workshop meeting at MIT. The title of the workshop was “The Tectonics of Digital Curation;” I’m a sucker for cool conference titles and this got me in two ways – first, anything with the word “tectonics” in it is automatically cool and second, it said “digital curation” not digitization. This is important because (within natural history at least) most of the current energy is being devoted to capturing more information digitally rather than thinking about what you might do with it afterwards. The concept that you need to curate the information once you have it is an important one. 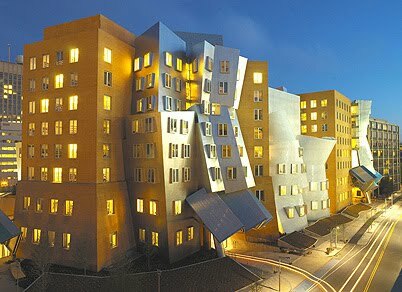 Plus I wanted to go see the Stata Center (above), where the meeting was being hosted - back in my Cambridge days I watched it going up, but I'd never seen the completed thing. Anyway, it was a great program, although at first sight it had nothing to do with natural history collections, and the talk that I found most thought-provoking was actually the one that looked the least promising. Megan Winget, who is an associate professor at UT Austin, gave a talk on the challenges of collecting and preserving videogames. Now it may surprise you to think that there are challenges associated with collecting videogames – you buy the game, you put a catalog number on it, you put it in a storage cabinet, right? Wrong. Big-time wrong. You see, a video game is quite a complex entity. First of all, there is the game itself, which is basically a computer program. But then there’s also the platform that it runs on – its operating system if you like. Then there’s the hardware associated with it; this might be the arcade cabinet for Pac Man, or an X-Box, or a Wii controller. Then there are the marketing materials and the packaging. And that’s just the start. The more recent generation of on-line videogames have tools built into them to allow other developers to modify the game. These customized versions, or Mods, have a life of their own and in some cases end up more popular than the original game they were based on. Then there are massive multiplayer online games (MMORPGs), where you have whole communities of people interacting with the game, creating and uploading supporting materials, producing wiki-based game manuals, etc. How do you record and preserve all this material? And what about the development process itself, how the game was created? You would think that all of this information is recorded in exhaustive detail by the companies that produce the games. Wrong again. It seems that there is little or no consistency of documentation and the game developer community lacks a tradition of recording and archiving information, beyond routine back-ups. Many of the critical early steps take place on a white board in a meeting room – if you’re lucky, someone may snap a picture of this. Development documents are seen as living documents that can be overwritten at anytime and archive copies are rarely produced. And even if they are, when programming starts a multitude of changes get made to the original schema by the programmers; these are almost never recorded. As a result of this there’s often a yawning gulf between the original development document and the final manual for the completed game. Assuming you manage to preserve all this information, there is then the question of how you give people access to it. The obvious way, at first sight, is to make it possible for them to play the game. But this is actually harder than it looks. Many of the earlier generation of games can no longer run except on the original hardware. In some cases, it’s possible to emulation software get them to run on modern machines, but experienced gamers criticize this because the authentic experience of playing the game can’t be recaptured when you play it on a different system (presumably, as someone at the meeting pointed out, you also need a basement and an old couch that smells of beer, but that’s another issue). I was fascinated by this, but initially more from an intellectual standpoint – it was interesting, but obviously it had nothing much to do with natural history specimens. But as I drove home along the Pike I began to think some more. And this is what I thought. As museum people, we spend a lot of time worrying about objects – collecting them, preserving them, and making them accessible. This carries over into the way that we look at collections data. We take an object-centric view of data; there is a specimen, it has various pieces of information associated with it, and we link object to information by some form of unique identifier, usually a catalog number. Megan’s talk made me wonder whether there was another way to look at this relationship. Suppose we take the position that there is actually an entity at the core of our museum object that no longer exists – the organism itself, which once existed at a particular place and time. The “specimen” is one aspect of this entity – much as the X-Box or Wii controller is one part of the game – but it’s not the whole thing. For one thing it’s dead, and it’s also gone through a process of “preservation” that is actually anything but – most prep methods involve the destruction of various parts of the specimen and its conversion to a state which is even further from the original organism. All of this means that there are various categories of information relating to the original entity that cannot be deduced from studying the specimen. Or, to put it in the gamer context, you can’t “experience” the organism in the same way as you could before you collected it. That’s not to say that the specimen isn’t important. Far from it. 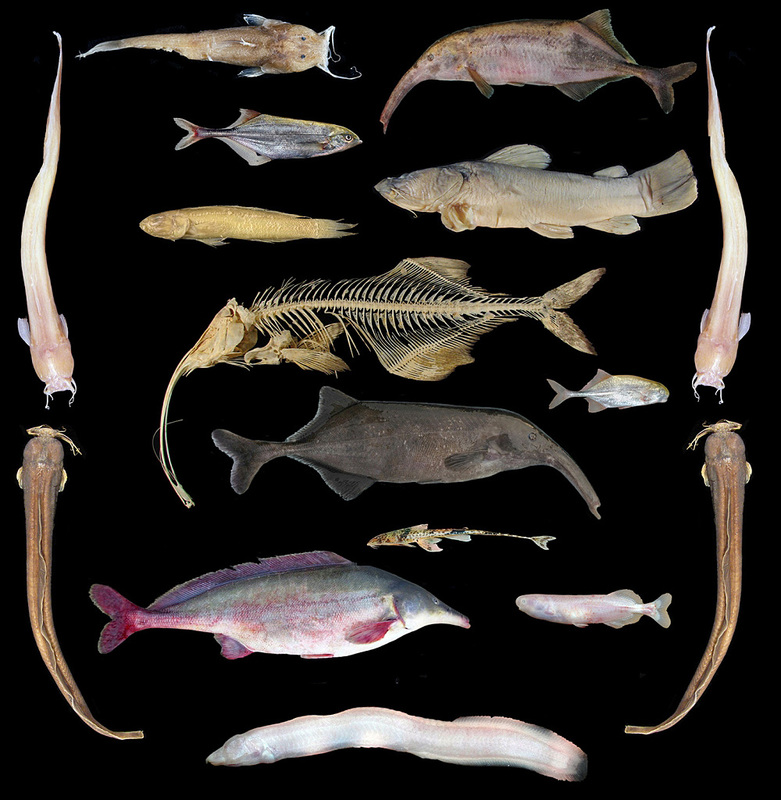 Study of the specimen can reveal a multitude of information about, for example, the organism’s evolutionary history that would not necessarily be gained from studying it while it was alive. But the associated data adds even more value to it and can actually provide you with a way to restore at least some of the information that was lost as a result of collection and preservation. So field notes can provide valuable information on behavior; preserved gut contents can give you insights into diet, as can casts of fossil teeth that reveal microwear patterns. This is another way in which natural history specimens mimic computer games. Megan was arguing that preserving the material culture that surrounds the game – the supporting materials produced by MMPORPG communities, for example – gives you insights about the game that you might not be able to glean from studying the game itself. Just as games have players, natural history collections have users. And like the gamers, the community of researchers is constantly doing things that modify the specimens in the collection. They study them, generate data, publish the data, and in doing so change our understanding of the nature of the specimens. They produce derivative materials – CT scans, laser surface scans, MRI images, X-Ray images, SEM images, molds, casts, and plain old photos. They carry out additional preparation to the physical specimen, removing additional matrix to reveal an obscured feature of a fossil, or clearing and staining a fluid-preserved specimen. All of these, I would argue, are part of the wider definition of the specimen and need to be curated as such. Some of them, such as casts of fossils, are in some ways like the Mods that exist in the gaming world. Like Mods they have a utility that goes beyond the original specimen – they are assigned their own numbers in the catalogs of other institutions and they get studied, loaned, and exhibited as objects in their own right. We also have the same problems with documentation that exist in the gaming world. Documentation standards have improved and are still improving, but for many specimens we do not have adequate field data, or even records of who prepared them and the methods that they used. And while researchers do publish new information on collections, they are frequently reluctant to share all of their data – an issue covered by another speaker at the meeting, Heather Piwowar. Without easy access to raw data, we are faced with the same gulf that exists between game development documents and the final product – you know what the result is, but not necessarily how the researcher got there and certainly not what insights and alternative approaches were discarded en route. These parallels are important to keep in mind as we push onwards towards the development of a national cyberinfrastructure for biological collections. At the moment, rightly or wrongly, we are fixated on the idea that we are capturing data about our collections and making it more widely available. What struck me on the long haul down I-395 was that we are actually creating a new type of collection – a collection of complex objects, made up of physical and virtual components that may “live” in more than one place. We understand certain aspects of these collections very well, others less well, and there may be emergent properties that we can hardly guess at. We may have to relearn how we curate these collections. A good start might be to mirror the approach adopted by Megan Winget and her coworkers, who are working with IMLS funding to study the game industry’s creation methods, behaviors, and attitudes. Their idea is that by understanding the process by which these complex objects are created, you can build more meaningful models of preservation and collection. It seems to me that this would be a good place for the natural history collections community to start – and an acknowledgement that we are dealing with something relatively new in our centuries-old profession and that we may need to look for models in surprising places. If you ever doubted the importance of fire suppression in your museum, this story from Brazil will demonstrate why fire comes out as public enemy #1 in any risk assessment project. The Instituto Butantan in is a biomedical research center affiliated with the State Secretary of Health's office in São Paulo. 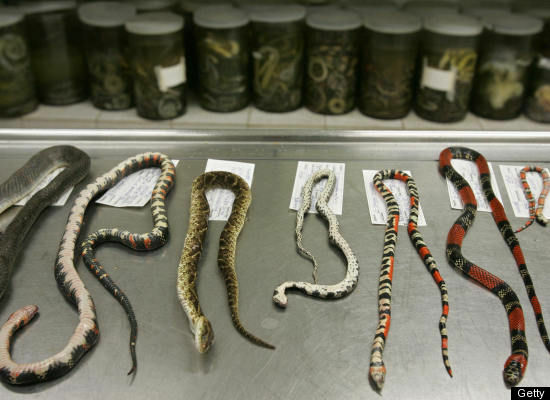 Over the course of the last 100 years, it had built up one of the world's largest museum collections of venemous snakes - over 80,000 specimens - together with large holdings of spiders, scorpions, and other poisonous invertebrates. On Saturday the whole lot went up in flames, for reasons that are not yet known. The fact that the specimens were fluid-preserved was a significant factor in the severity of the blaze. A couple of weeks ago, I posted a piece on the irreplaceable nature of collections; I guess this just rams home that point - 100 years to build; gone in just a few hours. I want to give a quick plug for one of my colleagues at YPM, Jordan Colosi, who has just started blogging on her work in the Vertebrate Zoology collections. 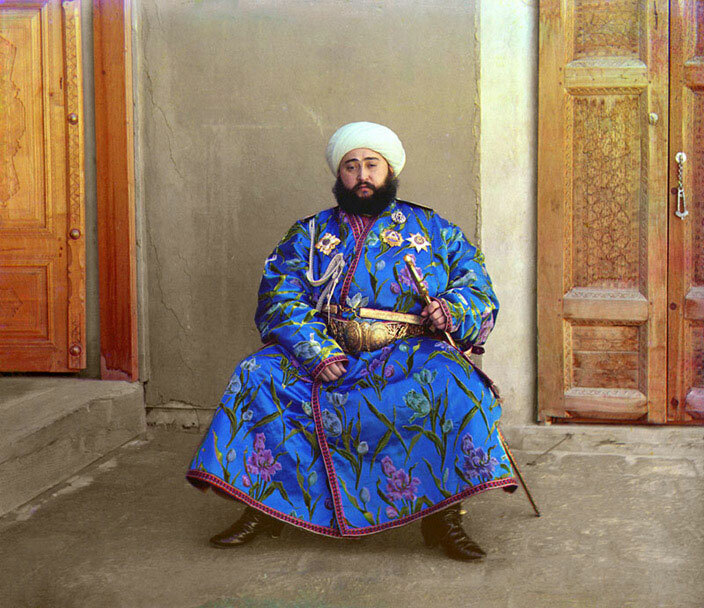 One of the strengths of blogs in a museum context is that they give you an opportunity to delve into some of ongoing activities in the collections in a way that is not possible in a conventional website. So I definitely recommend that you go take a look at The Life You (And I) Never Knew. My favorite is the pug nosed eel, which parasitizes sharks by burrowing into their bodies via the gill slits. Eww. Sadly, it's not unusual to see stories in the media about museums being found in possession of items that were stolen from victims of the Holocaust. But it's much rarer to hear of Holocaust victims being in possession of items stolen from museums. For this reason, my eyebrows shot upwards when I read this story in the New York Post a few weeks ago. The short version is that a tiny, 3200 year-old Assyrian gold tablet was found in the estate of Riven Flamenbaum, an Auschwitz survivor who emigrated to the USA in 1949 and died in Long Island in 2003 at the age of 92. It turned out that the tablet had formerly been part of the collections of the Vorderasiatisches Museum in Berlin and was now valued at around $10 million. According to the Post, the Museum sued Flamenbaum's heirs for the return of the artifact, only to have a New York court turn down the claim. The Flamenbaum's attorneys (and the Post) presented this as a case of natural justice and indeed it makes a compelling tale, a classic immigrant's story. Riven Flamenbaum loses his entire family in the Holocaust. 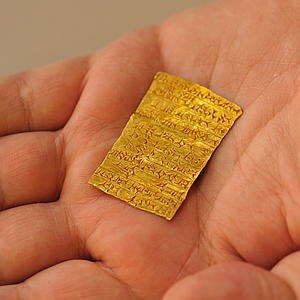 Having survived the horrors of the camps and making his way through a shattered, post-war Europe, he trades a pack of cigarettes to a Russian soldier and receives a tiny gold tablet in return. He travels to America with just a few possessions - some rare coins and the tablet, which he pawns in order to purchase a liquor store on New York's Canal Street. He pays back the pawn broker and regains his treasures. He goes on to make a life for himself; he marries another Auschwitz survivor and together they raise three children. When he dies he leaves them the tablet, which they believe to be worth only $100, only for them to find that it is worth a fortune. Then some museum - and a German museum at that! - comes calling, trying to claim the tablet is theirs. Hell, wouldn't you want that family to keep the tablet? I know I would. Which made me feel very uneasy. It was a heartrending story, but did that make the Court's decision right? What was the basis of the decision? Media coverage, such as it was, understandably focused on the human interest aspects of the story - who cares about the dry minutiae of the legal decision when you have parents that both had a huge number 5 tattooed on their arms and a father whose hands and feet were permanently numb from the treatment meted out to them in the camp? And three children with no grandparents, no aunts or uncles, and no cousins, because the entire family on both sides were murdered. But how does a Russian soldier plundering artifacts from a German museum differ from a Nazi soldier plundering from, say, a French museum? In the eyes of the law, isn't this the same thing? Well, fortunately for pedants like me, you can read the entire ruling on line here. And very interesting it is too.The Russian soldier and the pack of cigarettes disappear, because without Riven Flamenbaum there was no-one to testify as to exactly how he obtained the tablet. The Museum's ample evidence that the tablet came from their collections also turned out to be irrelevant. While the family's lawyers came up with a number of lines of argument in defense of their position, the one that prevailed in the end was actually the most simple one - that the Museum had known as far back as 1954 that the tablet was in New York, but that they had failed to follow up on this; they had not reported the tablet as missing, had not approached the American authorities or Interpol, or taken any other steps to investigate the loss. By failing to show due diligence the Museum had allowed the Flamenbaums to believe for 60 years that they had good title to the tablet. That, combined with the fact that Riven Flamenbaum was no longer alive to testify, prejudiced the estate's ability to defend the claim. This is called the Doctrine of Laches and it basically says that if you don't pursue a claim in a timely manner, and if because of this the defendent has a harder time defending the case than they would have had if you'd made your claim earlier, then the claim can be barred. The Museum had tried to argue that for an East German Museum in the 1950s, political and financial restrictions would have made it impossible for them to launch an international investigation - unfortunately, among the briefing documents submitted to the court by the Museum's lawyers was a previous case involving a claimant museum in the GDR which had made strenuous attempts to recover stolen artwork, beginning as far back as 1945. In that case the defendant had been unable to use a laches defense. "He stated that it was all he had left from 'that bitter time,' and he wished to hand it down to his children and future generations to serve as a reminder of the brutality and decimation of his family at the hands of the Nazis." The New York Daily News reports that AMNH is suing American Airlines for the loss of a shipment of fish. According the article, AMNH had sponsored students from the University of Kinsasha to collect the fish from rivers in the Democratic Republic of the Congo. The fish were preserved in formaldehyde and sealed in two layers of plastic bags, then packed into two barrels and shipped to the US. When they reached Brussels, in October of last year, an airline official noticed the barrels were leaking and pulled them from the flight. At the time, the Museum was told that the barrels would be repacked and shipped on to NYC aboard an AA flight. The barrels never arrived and AA eventually claimed that they had to be destroyed because they were "leaking and full of maggots." Airlines are understandably cautious about what they put in the holds of their aircraft and this causes museums, which frequently need to ship unusual cargo around the world, no end of problems. I don't know the full details of this case, but my guess is that the question revolves around whether the airline has the power to destroy a shipment that it considers to be hazardous. They probably do, at least under certain circumstances, but since I doubt either party wamts this to come to court the likelihood is the AA will settle. The question then is, how much? Minimally it would be the costs of sending another student collecting party into the field. Unfortunately it's not as simple as that. In a very real sense these collections are irreplaceable, a point that often comes up when we try to figure out a basis for insuring the specimens held in museum collections. It's impossible to exactly replicate a collecting event, the multiplicity of biotic and environmental factors that mean that every specimen caught at a particular time and place is unique. Even if you can catch the same species they will be represented by different individuals, with different parasite loads, different gut flora and fauna, different stomach contents. As we become more aware of the importance of the complex data associated with natural history collections, these small differences assume greater importance. Of course, all is not lost if you have the collecting data - the notes and observations made by the researchers at the time the specimens were caught. But these data can only address the factors that were thought to be important at the time of collection. They may not be able to address new questions asked by a future generation of researchers. This is one of the reasons that we spend so much time and effort preserving specimens, and why we worry that our preservation techniques may inadvertantly close off future avenues of research. But there's another reason why we should mourn the loss of these specimens, and why AMNH should push hard to get a substantial settlement from AA. It was best expressed by a former colleague of mine some years ago, when he was explaining why he was so irritated by visiting researchers who are careless in handling specimens in the collections. 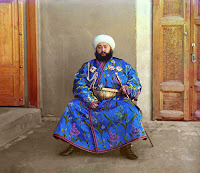 His point was that collecting is not easy - people devote enormous time and effort going to the far reaches of the globe to obtain this material; they work hard, under conditions that are at best spartan and at worst positively unpleasant, often at risk to their health and sometimes their lives. That herculean effort in support of science and society is worthy of respect, whether by a student visitor to the museum or one of the world's biggest airlines.